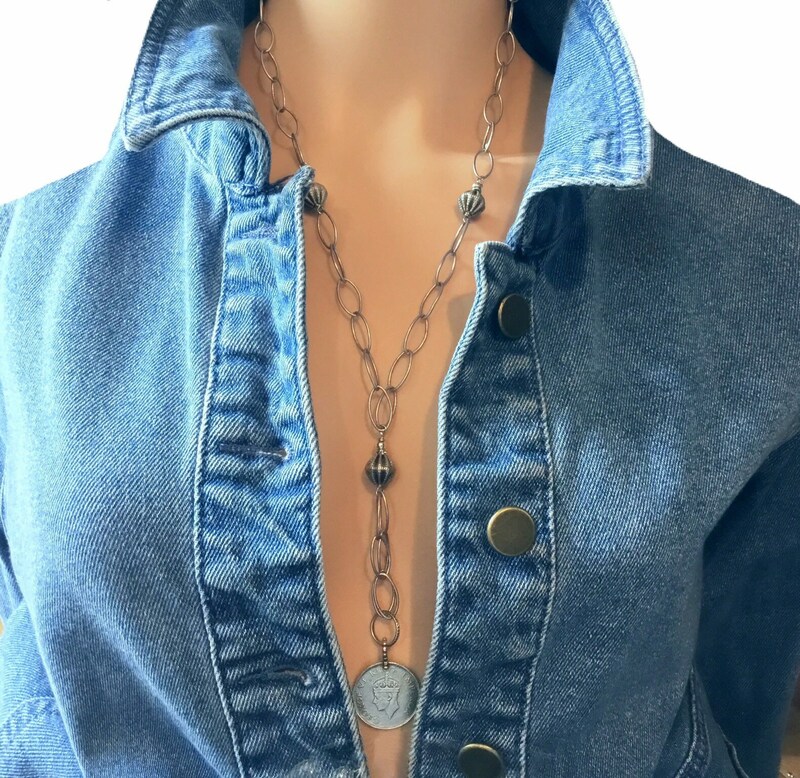 This boho coin necklace will be a conversation starter for sure! 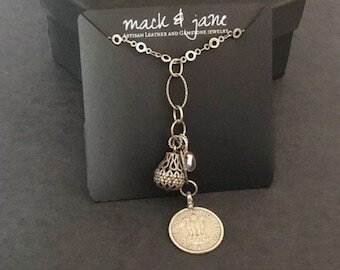 The unique elongated antique silver plated links take this necklace a step beyond the traditional Y necklace, along with the gorgeous vintage French coin and fluted antique silver plated beads. 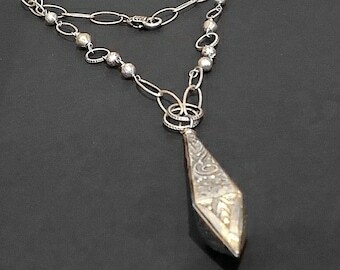 This ageless necklace would look terrific with a flowy boho top, denim shirt or sleek black tee. 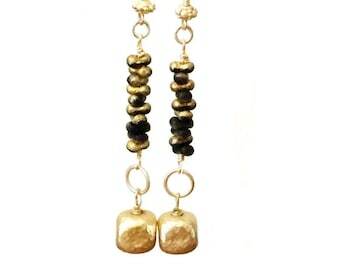 It would also make a terrific gift for that girlfriend who likes her jewelry to stand out from the crowd. And it comes beautifully wrapped and ready to go! Please select at checkout. The coin pendant hangs approximately one inch off the chain.